López-Sánchez CA, García-Ramírez P, Resl R, Hernández-Díaz JC, López-Serrano PM, Wehenkel C (2017). Modelling dasometric attributes of mixed and uneven-aged forests using Landsat-8 OLI spectral data in the Sierra Madre Occidental, Mexico. iForest 10: 288-295. Remote sensors can be used as a robust and effective means of monitoring isolated or inaccessible forest sites. In the present study, the multivariate adaptive regression splines (MARS) technique was successfully applied to remotely sensed data collected by the Landsat-8 satellite to estimate mean diameter at breast height (R2 = 0.73), mean crown cover (R2 = 0.55), mean volume (R2 = 0.57) and total volume per plot (R2 = 0.41) in the forest monitoring sites. However, the spectral data yielded poor estimates of tree number per plot (R2 = 0.22), the mean height (R2 = 0.25) and the mean diameter at base (R2 = 0.38). Seven spectral bands (band 1 to band 7), six vegetation indexes and other derived parameters (NDVI, SAVI, LAI, FPAR. ALB and ASR) and eight terrain variables derived from the digital elevation model (elevation, slope, aspect, plan curvature, profile curvature, transformed aspect, terrain shape index and wetness index) were used as predictors in the fitted models. To prevent over-parameterization only some of the predictor variables considered were included in each model. The results indicate the MARS technique is potentially suitable for estimating dasometric variables from using spectral data obtained by the Landsat-8 OLI sensor. Comparison and ranking of different modeling techniques for prediction of site index in Mediterranean mountain forests. Ecological Modeling 221: 1119-1130. A new Bayesian ensemble of trees approach for land cover classification of satellite imagery. Canadian Journal of Remote Sensing 39 (6): 507-520. Modelling eutrophication and risk prevention in a reservoir in the Northwest of Spain by using multivariate adaptive regression splines analysis. Ecological Engineering 68: 80-89. Potentials and limits of vegetation indices for LAI and PAR assessment. Remote Sensing of Environment 35 (2-3): 161- 173. On a derivable formula for long-wave radiation from clear skies. Water Resources Research 11 (5): 742-744. A merchantable volume system for major pine species in El Salto, Durango (Mexico). Forest Ecology and Management 238 (2007) 118-129. Modeling percent tree canopy cover: a pilot study. Photogrammetric Engineering and Remote Sensing 78 (7): 715-727. An evaluation of the use of satellite data for monitoring Picea sitchensis plantation forest establishment and growth. Forestry 7 (5): 384-396. Evaluating the utility of the medium-spatial resolution Landsat 8 multispectral sensor in quantifying aboveground biomass in Mgeni catchment, South Africa. ISPRS Journal of Photogrammetry and Remote Sensing 101: 36-46. Importance of sample size, data type and prediction method for remote sensing-based estimations of aboveground forest biomass. Remote Sensing of Environment 154: 102-114. Discrimination of conifer height, age and crown closure classes using Landsat-5 TM imagery in the Canadian Northwest Territories. International Journal of Remote Sensing 24 (9): 1823-1834. Predictive mapping of forest attributes on the Fishlake National Forest. In: Proceedings of the “4th Annual Forest Inventory and Analysis Symposium”. New Orleans (LA, USA) 19-21 Nov 2002. Gen. Tech. Rep. NC-252, North Central Research Station, USDA Forest Service, St. Paul, MN, USA, pp. 257. Multivariate adaptive regression splines. The Annals of Statistic 19 (1): 1-141. A review of remote sensing of forest biomass and biofuel: options for small-area applications. Giscience and Remote Sensing 48 (2): 141-170. Modeling forest stand structure attributes using Landsat ETM+ data: application to mapping of aboveground biomass and stand volume. Forest Ecology and Management 225 (1): 378-390. The elements of statistical learning: data mining, inference, and prediction (2nd edn). Springer-Verlag, New York, USA, pp. 745. A soil-adjusted vegetation index (SAVI). Remote Sensing of Environment 25 (3): 295-309. Continuo de elevaciones mexicano 3.0 (CEM 3.0) [Continuous elevation 3.0 (CEM 3.0)]. Instituto Nacional de Estadística Geográfica e Informática, DF, México. Estimating aboveground biomass in interior Alaska with Landsat data and field measurements. International. Journal of applied Earth Observation and Geoinformation 18: 451-461. Remote sensing of leaf area index and radiation intercepted by understory vegetation. Ecological Applications 4 (2): 272-279. Modeling the height of young forests regenerating from recent disturbances in Mississippi using Landsat and ICESat data. Remote Sensing of Environment 115 (8): 1837-1849. Geospatial Estimation of above Ground Forest Biomass in the Sierra Madre Occidental in the State of Durango, Mexico. Forests 7: 70. Biomass mapping using forest type and structure derived from Landsat TM imagery. International Journal of applied Earth Observation and Geoinformation 8 (3): 173-187. Use of the Weibull function to model maximum probability of abundance of tree species in northwest Mexico. Annals of Forest Science 72 (2): 243-251. Comparing five modelling techniques for predicting forest characteristics. Ecological Modelling 157: 209-225. Predicting forest structural parameters using the image texture derived from WorldView-2 multispectral imagery in a dryland forest, Israel, International Journal of Applied Earth Observation and Geoinformation 13: 701-710. 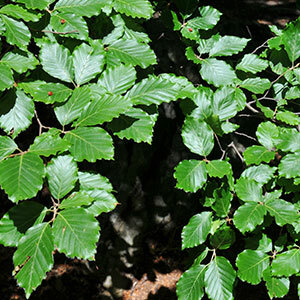 Relationships between forest variables and remote sensing data in a Nothofagus pumilio forest. Geocarto Internacional 25 (1): 25-43. Using Landsat-derived disturbance and recovery history and lidar to map forest biomass dynamics. Remote Sensing of Environment 151: 124-137. Estimation of timber volume in a coniferous plantation forest using Landsat TM. International Journal Remote Sensing 18: 2209-2223. Modern applied statistics with S (4th edn). Springer, New York, USA, pp. 498. Evaluating the water sector in Italy through a two stage method using the conditional robust nonparametric frontier and multivariate adaptive regression splines. European Journal of Operational Research 212: 583-595. Estimating balanced structure areas in multi-species forests on the Sierra Madre Occidental, Mexico. Annals of Forest Science 68: 385-394. Landsat imagery-based above ground biomass estimation and change investigation related to human activities. Sustainability 8 (2): 159. Estimating spatial variation in Alberta forest biomass from a combination of forest inventory and remote sensing data. Biogeosciencies 11: 2793-2808. Classification and regression tree (CART) for analysis of soybean yield variability among fields in Northeast China: the importance of phosphorus application rates under drought conditions. Agriculture, Ecosystems and Environment 132: 98-105. Improving forest aboveground biomass estimation using seasonal Landsat NDVI time-series. ISPRS Journal of Photogrammetry and Remote Sensing 102: 222-231.